Of course, our lovely local Budapest free tour guides are more than happy to give you insider tips and recommendations for non-touristy things to do in Budapest, but it’s good to have a few ideas to plan into your trip before you arrive. So, for those days when you just want to get off the beaten-path, here’s our top ten non-touristy things to do in Budapest. Budapest is known as the pearl of the Danube, and it’s easy to see why. This majestically beautiful city is captivating from whatever angle you see it, but there’s something particularly enchanting about the views experienced from the river Danube. There’s several boat cruises and boat tours offering trips up and down a stretch of the river, but these can often be pricey and, you guessed it, full of tourists. But you can enjoy a boat trip along the river for just a fraction of the price of those touristy cruises – just hop on one of the three public transport boats (D11, D12 and D14) to meander along the Danube with stops on both the Buda and the Pest side river-banks. If you’ve had your fill of navigating through tourist-laden Budapest streets, you might like to get off street level and go exploring through underground caves. There is a labyrinth of over one hundred & twenty kilometres, and more than two hundred caves, lying right underneath the thousands of oblivious tourists on the streets above. 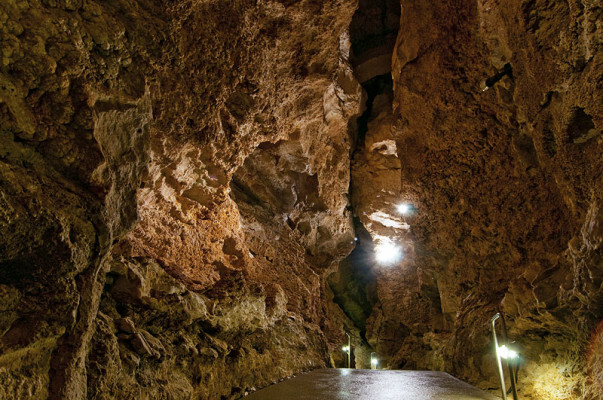 Many of the caves within this vast system are accessible to curious beginners who are not experienced cavers, for example the Pál-völgyi or Szemlő-hegyi caves. You can also ask your free Budapest tour guide to point out the intriguing ‘Cave Church’ in Gellért Hill. 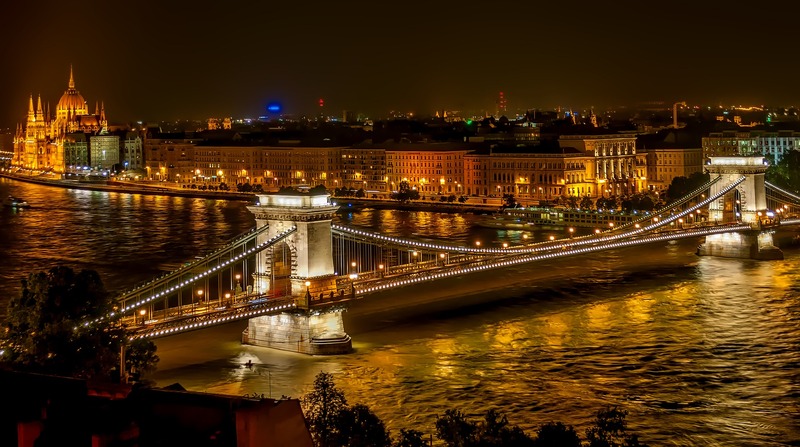 You’ll likely know that the Hungarian capital is divided by the Danube river with Buda on one side and Pest on the other; however, there does seem to be some misconception that all the Budapest attractions are in Pest. This really isn’t true, and while the majority of tourists have a tendency to stay or spend most of their trip on the Pest side, you’ll be pleasantly surprised by the many little-known and less-touristy things to do in Budapest on the Buda side. One such example, and one of the nicest places to visit in Budapest, is the highest viewing point over the city, János Hill. From the Elizabeth tower on the hill, you can take in the mesmerising panoramic vista. Don’t worry if hiking isn’t your bag, you can take bus number 291 to Zuglo and then jump on the Zugliget Chairlift. We recommend watching the sunset from up here and enjoying the spectacle of the city lighting up below you. Okay, it’s less of a fountain and more of a tap, but nevertheless, it holds some magical medicinal qualities that the locals swear by. One of the more unusual things to do in Budapest, you can drink the thermal water that Budapest is celebrated for at Rudas Ivocsarnok at the foot of Mount Gellért on the Buda side of Elizabeth bridge. You’ll see the locals arriving with empty bottles to fill but you can get a glass there for just €0.15. There are three different types of medicinal thermal water available, each purporting to enhance rejuvenation and cure ailments such as gastritis, rheumatism and even gout! It likely wasn’t near the top of, if even on, your what to do in Budapest list, but it’s certainly a non-touristy and unique local experience, making it one of the more interesting things to do in Budapest, off the beaten track. The taps are on Mondays, Wednesdays and Fridays from 11:00 to 18:00, and Tuesdays and Thursdays 07:00 to 14:00. We’ve established that Buda is one of the more non-touristy places to go in Budapest, so it’s a great option for ticking off other things to do in Budapest that are very popular among tourists, but in a non-touristy way. One example is visiting the thermal baths and spas that Budapest is renowned for. Most tourists will flock to the famous baths, like the architecturally beautiful Szechenyi and Gellert baths, which are, of course, in Pest; but there are some equally amazing baths on the Buda side too, and tend to be most popular among locals. We highly recommend a relaxing visit to the Ottoman era baths, Veli Bej or the Király Baths, or the local-favourite, Lukacs Bath. If you don’t have a few hours to spend relaxing in thermal waters in beautiful baths, you can still chill out for a while and escape the tourists at some of the hidden parks and gardens in Budapest. While Margaret Island will be teeming with visitors, Kopaszi Damis next to Rákóczi Bridge will be decidedly calm, and one of the nicest places to visit in Budapest. It’s a gorgeous green zone, perfect for relaxing in and enjoying a bite to eat. And if peaceful parks are what you need, we recommend a visit to ‘the bottomless lake’, Lake Feneketlen which is at the centre of an expanse of greenland with clusters of dense trees. 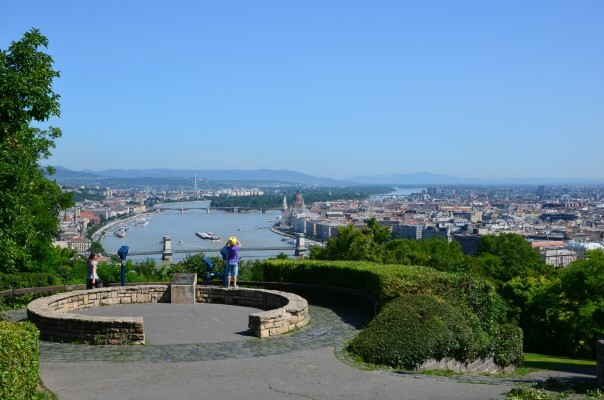 Although it is one of the non-touristy places to go in Budapest, there are public amenities here such as benches, walking routes, running track, and nice café & eatery with terrace & deck chairs for al fresco dining. Our favourite hidden gem of a park, though, is the fascinating Epreskert park. 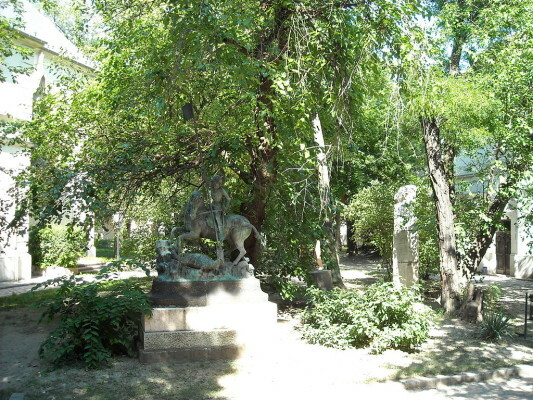 For well over a century now it has been an intrinsic part of the Budapest art scene, having been donated since the 1870s to local artists who had carried out municipal labour. It’s dotted throughout with works of sculpture and the wonderful remnants of different schools of art. The Budapest Flipper Museum is dedicated to the joy of pinball, housing more than 140 vintage pinball machines and retro arcade games dating as far back as two centuries ago, right up through the golden era of pinball in the 70’s and 80’s, to the more modern classics like The Simpsons pinball machine. For less than €10 (€5 for students) you can spend hours with unlimited access to all the machines while charting the history of pinball, arcade gaming and pop-culture. This is what makes it a worthy visit even if you’re not enthralled by the sheer nostalgia and fun of playing pinball and arcade games, as you get an insight into how important such recreational elements were for different generations during turbulent times, especially in cold-war era Budapest. Housed in a wonderfully expansive underground vault-like cellar system, the Flippermúzeum is located, in all its retro glory, at Radnóti Miklós u. 18, on the Pest side. It is one of the more unusual things to do in Budapest, and while you will see foreign visitors here, it is certainly a non-touristy attraction and well-worth a visit. 8. Surround yourself in grandeur, at a library! Yes, but not just any library. The Ervin Szabó library is housed in the beautiful Neo-Baroque Wenckheim Palace on Szabó Ervin tér 1 in the palace quarter; and inside, the palatial essence carries through a magnificent setting, especially in the fourth-floor reading rooms adorned with chandeliers, dark wood furnishings, antique furniture, grand fireplaces and a treasure trove of period books. There is an entrance cost, but at just €2 it’s a no-brainer if you want to absorb a regal atmosphere in elegant surroundings. Despite the exquisite building, this is a lesser-known attraction, so it’s a perfect addition to your non-touristy places to go in Budapest list. And while visiting a library might not immediately come to mind when thinking about what to do in Budapest, trust us – this is a delightful place to visit in the Hungarian capital. While most tourists will visit the Buda castle complex, Vajdahunyad Castle is a very charming and less-touristy place. 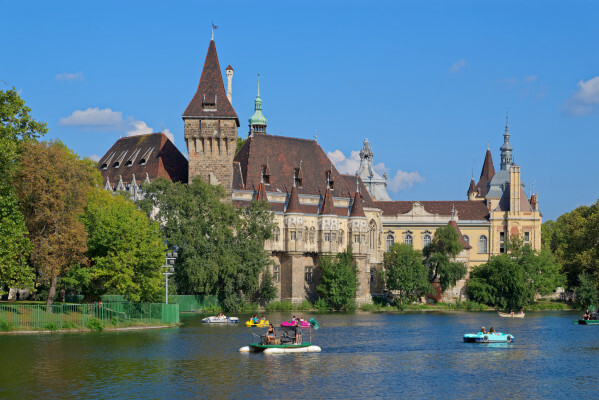 Located in the city park behind Hero’s Square, it is another of our lesser known Budapest attractions – making it an ideal way to tick your ‘see a magnificent castle’ box without jostling with fellow travellers. The enchanting castle was built in 1908 and combines elements from several styles, Including Transylvanian Gothic, Roman, Renaissance and Baroque, and is open from 10:00 to 17:00 every day. It’s probably fair to say that, unless you’re already a patron of the opera or classical arts, you quite likely would never even think about going to an opera on vacation. Well, that’s precisely why it is among our non-touristy things to do in Budapest. 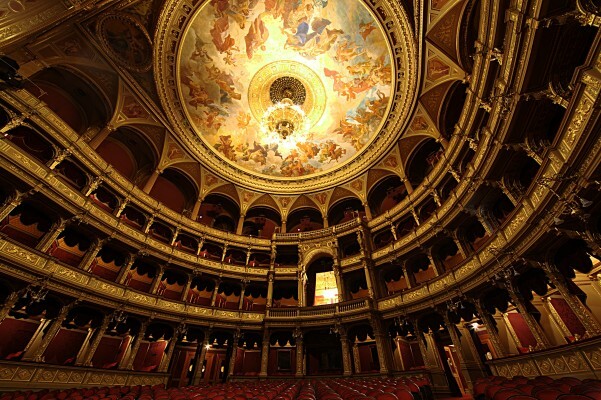 The beautiful neo-classical 19th Century Opera Building on the ‘Champs-Élysées of Budapest’, Andrássy Ut., is elegant and lavish and one of nicest places to visit in Budapest – especially during the operatic performances the capital is renowned for. Perhaps one of the more unusual things to do in Budapest, it is a unique and very enjoyable experience – so grab your opera glasses and away you go. Well, as the fat lady sings, dear travellers, that’s the end of our list of the top ten non-touristy things to do in Budapest. We hope it has helped to inspire a little deviation off the beaten path in the Hungarian capital, and don’t forget to join us for unbeatable free walking tours in Budapest to get to grips with the city and get the best local insider tips & hints from our friendly local guides. See you soon!